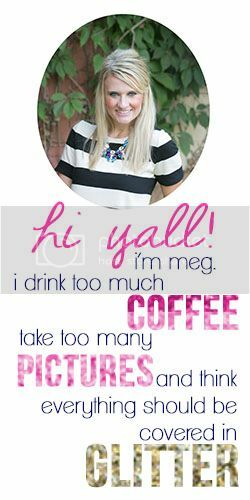 Everyday Meg : It's OK.
Today I am linking up with Neely and Amber for the first time! I have watched/ read yalls link up for a while and today, its the one year anniversary, just felt like a good day to link up. To NOT want to go clean my apartment for move out. To have a "to-do" list 3 miles long. To be ready for school to start (gasp). To be really really really to start decorating my classroom! To feel like I simply don't have enough hours in the day. To be SO INCREDIBLY PUMPED for the Olympics. To want all the Fall stuff to be out in stores! To still not fully mentally comprehend that I am DAYS away from officially living in Houston! I wish I was excited to go back as you are. I'll get there. But I'm totally excited for the Olympics! You were supposed to say "to be totally OBSESSED with the Olympics". Haha. Congrats on your 1 year!!! Ok maybe I read that wrong. Maybe it's their 1 year? I don't really know. It's someone's 1 year.... Congrats either way! I do love decorating my classroom. It makes going back a teensy bit better. Houston??? That sounds amazing!!'. That's a big change from the small town you've been living in, right? Obviously I've been Mia for a while. That's so exciting! I'm excited for school to start too...I'll want to take that statement back by October, but that's ok. Haha! Happy Thursday! I pumped for the Olympics too and SO excited for fall stuff in stores! As someone who has lived in Texas for a while, just how cool does it get in the fall? I gotta be able to wear my boots!! And you better post pictures of your cute new classroom when it's done! I am so ready for fall! I'm really surprised that decorations and things aren't out yet. Love this link up - I've been thinking about doing it for awhile. I'm ready for school to start because that means I'm done with enrollment!! I cant wait for fall boots to come out!